I am still working my way through the jewellery lot that I bought at the Waddington’s auction a couple of weeks ago. 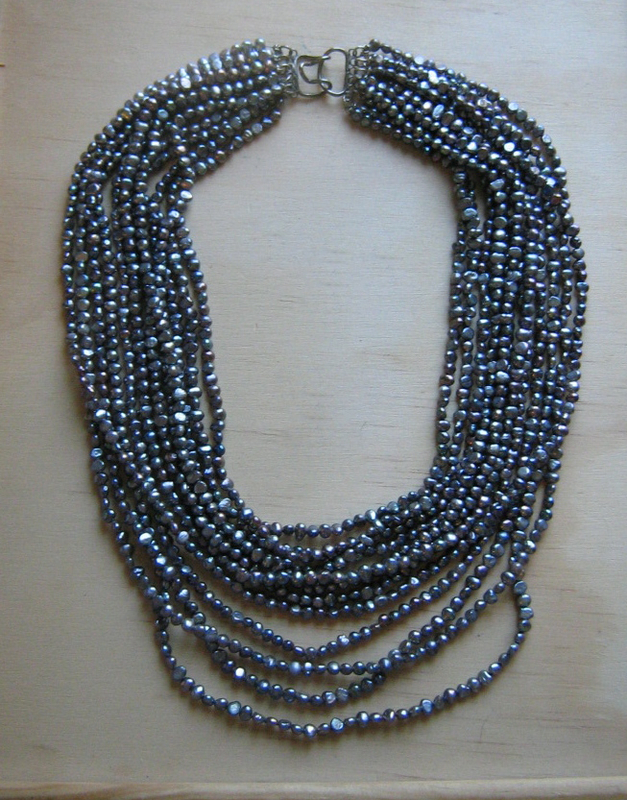 I’m on the fence about whether or not I should keep this multi strand pearl necklace. The colour of the pearls and the way it drapes has bewitched me somehow. This is how I end up with too much stuff. I let it speak to me and then it insinuates its way deeper and deeper into my life.